Chelsea are reportedly interested in a potential transfer deal for either Isco or Gareth Bale from Real Madrid if Eden Hazard leaves west London for the Spanish capital. The Belgian’s future has been in doubt for some time, with his contract at Stamford Bridge due to expire at the end of next season in a potentially devastating blow for the Blues. According to Don Balon, Chelsea could look to bring in a direct replacement for Hazard in the form of either Bale or Isco, both of whom are talented attacking midfielders who can do a job centrally or out wide. While CFC will not want to see Hazard leave, it does seem increasingly inevitable at this stage, and better to land a top class replacement than potentially see the 28-year-old walk away on a free in a year and a half. Isco and Bale have both had their struggles at the Bernabeu, but one imagines they could make great fits in Maurizio Sarri’s Chelsea side. Both are technically gifted and versatile enough to slot in well in this team, where they would likely be given more important roles than they’ve managed in Madrid. 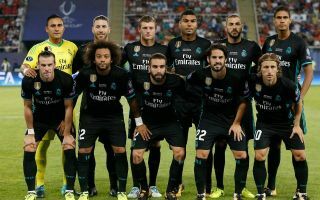 It remains to be seen, however, if Los Blancos will let either go, or if the players themselves would welcome an offer to join Chelsea.